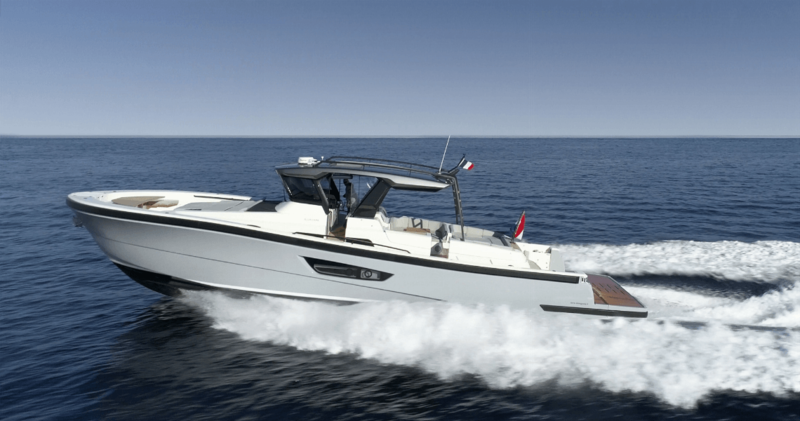 Bluegame Yachts, the SUV of yachts according to designer Luca Santella, will have her German Premiere during the 50th edition of Boot Dusseldorf from the 19th till 27th of January. In 2018 a new chapter has started for Bluegame, when the exclusive Yacht brand Sanlorenzo helped with redesigning the brand. Inspired by the Sanlorenzo SX-line, the Bluegame 42 and the Bluegame 62 arose and were revealed during Cannes Yachting Festival 2018. Luca Santella, marine architect, former Olympic Sailing Champion and Bluegame Founder, calls it a Sport Utility Yacht: SUY. As he told himself, Luca has used the spaces on board in a special, efficient way. Although the Bluegame 42 is barely 13 metres long and looks like an open boat with a central steering position, it turns out that behind this disguise is a full-fledged, seaworthy yacht with special sailing characteristics. CEO of Lengers Yachts, Bas Lengers, has experienced it himself since he made a cruise from the Bluegame Shipyard in Ameglia, Italy to Ibiza. Read more about the cruise of Bas Lengers. With the same design but 20 feet longer, the WOW-effect is even bigger! Because of the extra space below deck there is place for a bigger owners-cabin and even a separate guest-cabin with two separated beds. At the top speed of 35 knots, the ship is still very easy to handle and remains remarkably upright in the corners. Nevertheless, the Volvo IPS engines are remarkable economical. When the yacht sails at 15 knots, the meter gives 1300rpm, which leads to a consumption of 36 litres an hour! You can also find Lengers Yachts at the stands of Sanlorenzo, Prestige Yachts and Sacs during Boot 2019. For more information click here. Appointments are not definitive until they are confirmed via email.